Less than 11k Miles. seeking for a great deal on a extensive 2018 Buick Enclave Essence? Well, we’ve got it. It doesn’t stop showing off once you get inside! CARFAX 1 owner and buyback guarantee... Great MPG: 26 MPG Hwy... Hold on to your seats!! 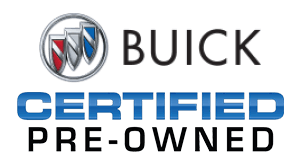 Buick CERTIFIED... Optional equipment includes: Front Power Sliding Moonroof, Radio: Buick Infotainment Sys AM/FM Stereo w/Nav, Front License Plate Mounting Bracket...Buick Certified Pre-Owned means that you not only get the reassurance of a 12mo/12,000 mile Bumper-to-Bumper limited warranty and a 2 year/24,000 mile Standard CPO Maintenance Plan, but also up to a 6-Year/100,000-Mile Powertrain Limited Warranty, a 172-point inspection and reconditioning process, 24hr roadside assistance, and a complete vehicle history report.